All the way from San Francisco, new wave/post-punk trio, Grass Widow is joining for NXNE this year, opening up for the Black Belles and Gap Dream. This addition is something that you don't want to miss. 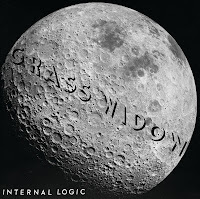 With their recent release, Internal Logic via HLR label, the trio has received countless plaise from media outlets, including FILTER Magazine -"an exhibition of the dramatic power of restraint...the punkish propulsion of the album is implied more frequently than it is stated directly, with the rhythms snapping into place while those three voices diffuse overhead." Their new single, Goldilocks Zone, is a spacious tune, filled up with peculiar guitar riffs and idiosyncratic tangents. I was drawn to the song, as three distinctive layers of harmonies progress and enrich its texture with flawless guitar spectacles.